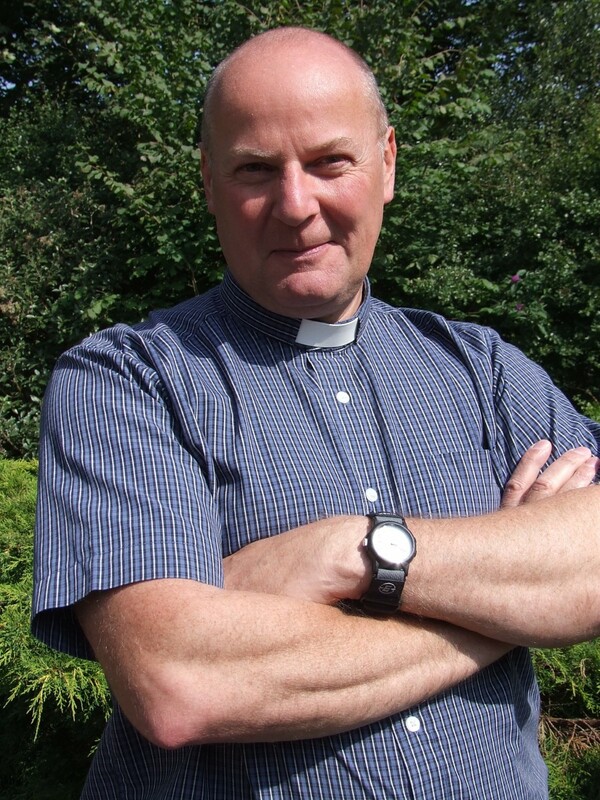 I am originally from Pudsey and have been the vicar of Oakworh Parish since October 2008. I am married to Anita and we have two adult children Ben and Emily. As you can see I like my food, especially curry and I don't mind the odd beer or two. On my day off I enjoy riding my motorbike (BMW R1200 RT, at present) around the beautiful surrounding area. One of my favourite all-time places is the Isle of Man and so there's no better place to be during the TT race weeks. I like photography, making video, gadgets and all things technical and mechanical. People say I'm 'relaxed' and 'approachable', I hope that's true, so please contact me if you want to know more about us or if you have an enquiry. I was born and raised in Surrey suburbia, but have lived in Oakworth for over thirty years, with my husband, Gerald, a former GP in Keighley. We have two sons, Roland and Tristan. Although I studied Modern Languages, and trained as a teacher, since we came here I have been running our 8 acre smallholding, raising sheep and cattle, with a few hens and bees; we also have quite a big vegetable and fruit garden. Over the years I have done a wide variety of voluntary work, and I felt that what I was doing was worthwhile. But I kept having a niggling question: is this really what God wants me to be doing? Eventually, I realised that God was calling me into something else; I trained as a Reader in the Church, and then discovered that the call was to the priesthood. Although I have come late in life to this work, I realise that God can use all my previous experience. Combining farming with ministry is sometimes a challenge, but I really enjoy all my work. Gerald and I both love walking in the glorious countryside in this part of the world. I also enjoy Sudoku puzzles, and knitting – when I sit down indoors for long enough! I was born and bred in Berkshire, living there until my marriage to Sarah when we moved to Surrey. Ten years ago we moved up to Oakworth, aiming to be near at least one set of baby sitters, otherwise known as (grand)parents, with our Son born a year later. I work in a Civil Engineering company based in Skipton, working with the computer systems to create the various reports that are needed to run a modern company. In my spare time, what there is of it, I enjoy reading, crosswords and other puzzles and when we get a free weekend we enjoy heading out in our caravan to enjoy the countryside. I keep dreaming of improving my fitness and getting out on my bike (the pedal variety), but the hill up to Oakworth keeps getting in the way. I've been part of a church almost all my life, playing in music groups for most of that time. I mainly play the bass guitar now though I still step in occasionally with an acousic guitar when needed. I felt that I was being asked to step out and do something more in church and after some exploration decided that I wanted to be a Lay Reader. A Reader is someone that has been given some training and has been approved by the Church to perform some tasks and services. The Lay part means that I am not ordained (so no back to front collar for me), giving me the ability to liaise between the clergy (John and Bryony) and ordinary people if needed. I started my training in September 2012 and was licensed in 2015.